The more venues the more hassles and things to organise. So instead of opting for separate venues for the ceremony and the reception, why not seek out a location that offers both? You may even be able to negotiate a discount in return for exclusive hire and will cut down on transport and accommodation costs which can keep you on track with your budget and reduce the temptation of wedding day loans. 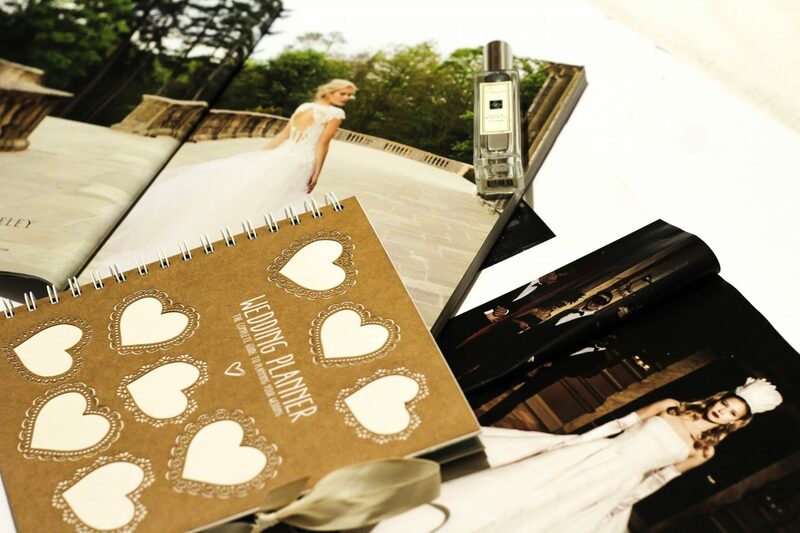 If you want to meet suppliers in person and see lots of examples of their former work, then a bridal convention or show is the best way to review a lot of potentials at once – from photographers to car hire, cake designers to stationers. It provides much needed inspiration in a more realistic form than that wedding Pinterest board you started, and lets you ask questions and interact with professionals. Plus, there are usually chances to win prizes such as your venue or bridal gown. A top tip is to create a specific email address before attending for wedding admin – that way, your regular inbox won’t get overwhelmed with promotions. If you really want to be prepared, you can consider writing your thank you notes ahead of time to guests. It avoids the potential for missing people off and causing offence and hurt feelings – simply write out some thanks, and even pop them into a pre-addressed envelope so they’re ready to go straight after the wedding. The flowers and decorations can be a massive expense on the day, and a bit of a redundant one – they just get thrown away after a days’ use! Save on costs by using the same flowers for the wedding ceremony and the reception. Ask your floral designer to create arrangements that can be used for both, and enlist venue staff to help move them while you are having your photographs taken with guests – no one will ever know. Check what flowers are in season for your wedding and look for similar, less costly alternatives – for example, peonies are a popular choice, but cabbage roses look virtually identical, cost less, and are available all year round. It’s the most photographed occasion of your life, so naturally you want to be picture-perfect. But whether you’re doing your own bridal makeup or getting a makeup artist in, investing in some prep beforehand will give you far better results. Consider getting brows shaped and tinted, as they frame the whole face. If you want to highlight your eyes, semi-permanent lash extensions look beautiful and mean that you won’t get caught out by mascara mishaps. And a few facials in the run up to the wedding will ensure that your skin is hydrated, glowing and beautiful for the photos. Do you have any cool wedding hacks to share? Share your opinions in the comments below! Next Post Cement Your Relationship By Making Your Wedding the Event of the Decade!